Home » How to deduct moving expenses? People always look for ways to pay less for something. This is a sign that you are a financially responsible person, and it is admirable. Mastering this is a huge step in becoming successful. Whether you are going to a store for some groceries or buying a house, you will need to look after your financial status. In this “dog eating dog” world, it is very important to have a good credit score. Being financially responsible in this money-driven world can set you above the average person and pave the way to success. This is also relatable to when you decide to move. There are many ways to deduct moving expenses, and you should read this guide carefully in order to do it correctly. So, do it! One of the best ways to deduct moving expenses is to move during the off-season. The moving season starts in April and ends in September. This is when most people plan their move, and it is also when the moving companies are most busy. They will be overbooked and will charge you more for their service. They will also not be able to cater to your scheduling needs. This is also the time when the houses are more expensive. However, if you wish to sell your house, this is a good idea. But make sure you have a place to stay rent-free before buying your house off-season. The off-season is when the moving companies have less work and will cut you a better deal and you can also create your own moving schedule. Good organization is a must when deciding to move, so make sure you consider this option. They are a huge part of the moving. process An estimate is when the moving company representative comes to your house and gives you an estimated price of the move. Many factors are included here, such as the weight of your belongings, long distance hauls, and any additional services you require during the move, like packing your things ( especially when it comes to fragile items). There are three kinds of moving estimates, and you should consider each one, as all of them have their ups and downs. Consider between all three kinds of estimates! – A binding estimate is when the representative comes to your house and does the measuring. They will then give you a fixed price which will not change when the actual weighing comes. If the stuff weighs less than the estimate, the price will not change. However, this is a very safe way to conduct your move because you will receive a contract with every service listed. The move will be conducted safely and reliably, and you should not worry about being scammed. 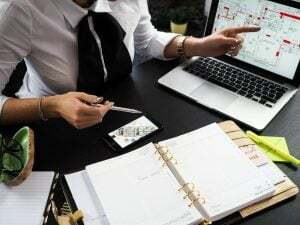 – A non-binding estimate is when the company representative comes and gives you an estimate but without a contract on which every service is listed. When the moving day comes, if the weight is more than estimated, the price will change. They can also charge you more for some additional services that they did not mention earlier. This is a way some companies conduct their scams, and you should be wary of the non-binding estimate. – This is when the moving company gives you an estimate which will not change under any circumstance. When the weighing comes, if it is more than the agreed price, the cost will not change. However, if the weight is lower than the estimate, the price will be lowered as well. This is the best way to conduct every move, but only the most reliable companies will offer you this. This is a sure government-covered way to deduct moving expenses and be sure to consider it when moving. This is an indirect way to deduct moving expenses by reducing the amount of stuff you need to move. You will even gain money in the process. Consider arranging a garage sale. When done correctly, a garage sale can minimize moving costs. This is because you will not have to move stuff you do not use or need. Be sure to put everything you do not need, even stuff you think nobody needs. One man’s trash is another man’s treasure. Create a good advertisement in the form of flyers, and give it to people in your neighborhood. Advertise it on social media as well. Make sure you do this on time, a week or two prior to the sale. Put it during the weekend, when most people will be free to check the sale out. 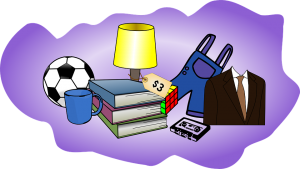 If you do not manage to sell everything on your yard sale, consider selling it online on trading websites. If this fails, you can donate the stuff, getting rid of stuff you do not need, while also helping others in need. Moving to a new home is a chance at a new beginning, so make sure you do not diminish your enthusiasm before even moving in. It is hard to look at your account balance after a move, but if you do everything correctly, you will deduct moving expenses and save some money along the way.